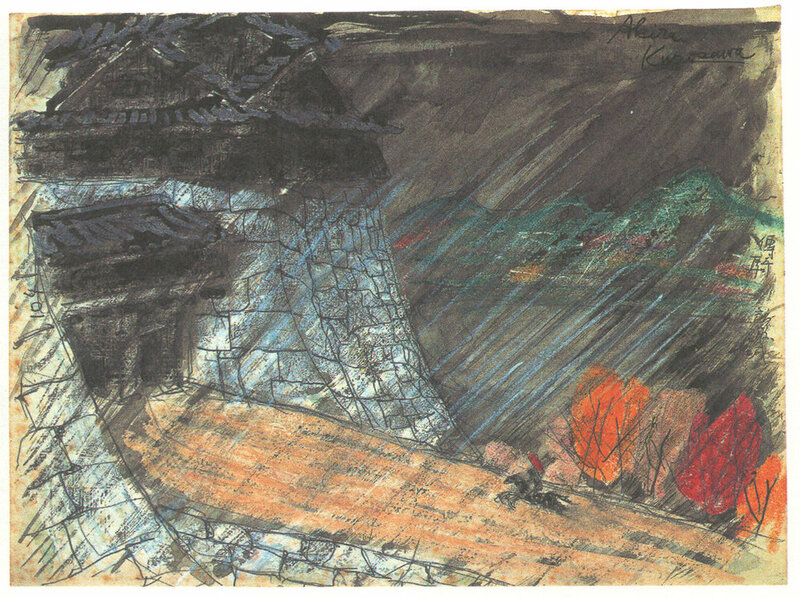 As a child, Kurosawa dreamed of becoming an artist. He was encouraged in this by his primary school teacher and, to a degree, by his father, who insisted he complement his artistic education with a course in calligraphy. 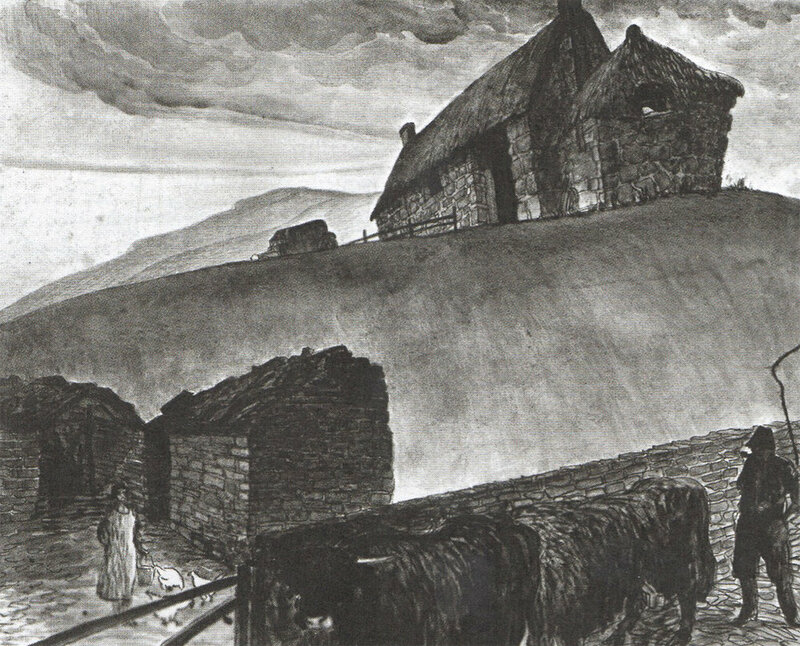 On leaving school at eighteen, one of his paintings was accepted for the Nika exhibition, a prestigious annual art festival, but he failed to take his formal training any further. In an interview towards the end of his life, Kurosawa was asked why he hadn’t become a painter. He replied: ‘Because I failed the exam.’ Again at his father’s insistence he had applied to a famous art school but had been rejected. After this he educated himself, visiting art galleries and studying individual painters. He persevered for a few more years, taking commissions from popular magazines. Then, at the age of twenty-five, having never contemplated a career in films, he answered an advertisement from Photo-Chemical Laboratories seeking trainee assistant directors. He was accepted and began an apprenticeship with the established director Kajiro Yamamoto. He directed his first film, Sansbiro Sugata, in 1943. Kurosawa was, like his friend Satyajit Ray, fundamentally a humanist film-maker, but he was also a great visual stylist. His films are marked by a painterly quality and he had an unmatched talent for staging fights and action set-pieces. His work is marked as much by Western as by Eastern influences, so it is fitting that his films should have been reappropriated by Hollywood and European directors: his samurai movies, including Seven Samurai (1954), provided the source material for Sergio Leone’s Dollars cycle and John Sturges’s The Magnificent Seven, among others. Shortly after the release of his first colour film, Dodes’Kaden (1970), Kurosawa attempted suicide. He recovered to make three further masterpieces, Dersu Uzala (1975), Kagemusha (1980) and Ran (1985), which was helped financially by the intervention of George Lucas and Francis Ford Coppola. It was in the long preproduction periods on these last films that he made detailed preparatory sketches in his trademark style—which owed a clear debt to Van Gogh and the Impressionists. 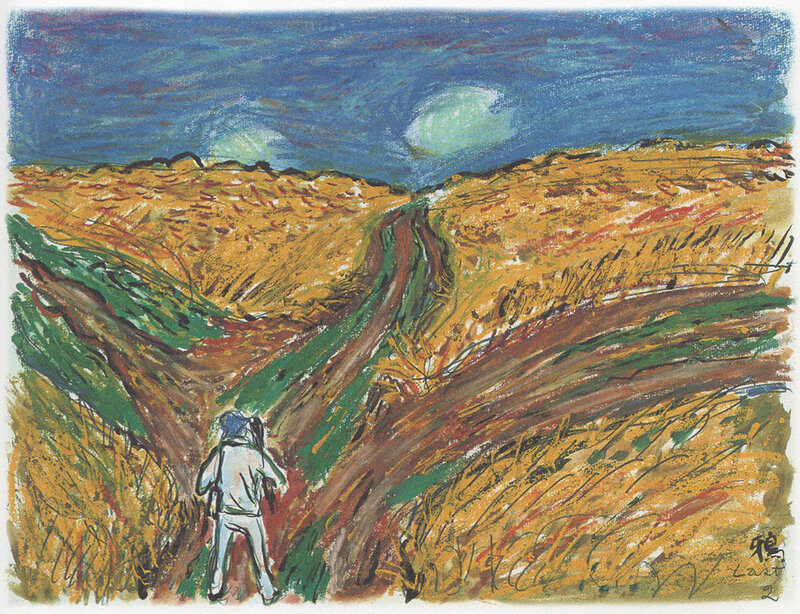 His passion for Van Gogh was particularly evident in his penultimate film, Akira Kurosawa’s Dreams (1990), in which the elderly director meets Vincent, played by Kurosawa-worshipper Martin Scorsese. First inspired by German Expressionist cinema, Hitchcock quickly developed his signature style of suspense film-making. His films returned again and again to the same psychological territory—fear of authority figures, overbearing mothers, false accusations (with innocent men drawn into desperate situations by malign fate)—and incorporated elaborately staged set-pieces and extended takes. They also included his own often cheeky cameo appearances. For all his willingness to discuss his technique and philosophy of the craft of movie direction at great length, like some populist Eisenstein, he professed (as would Woody Allen decades later) a distaste for the actual process of film-making. Allen attributed his own feelings to a discomfort in dealing with actors and continual disappointment in the results compared to the image he had of the film in his head. 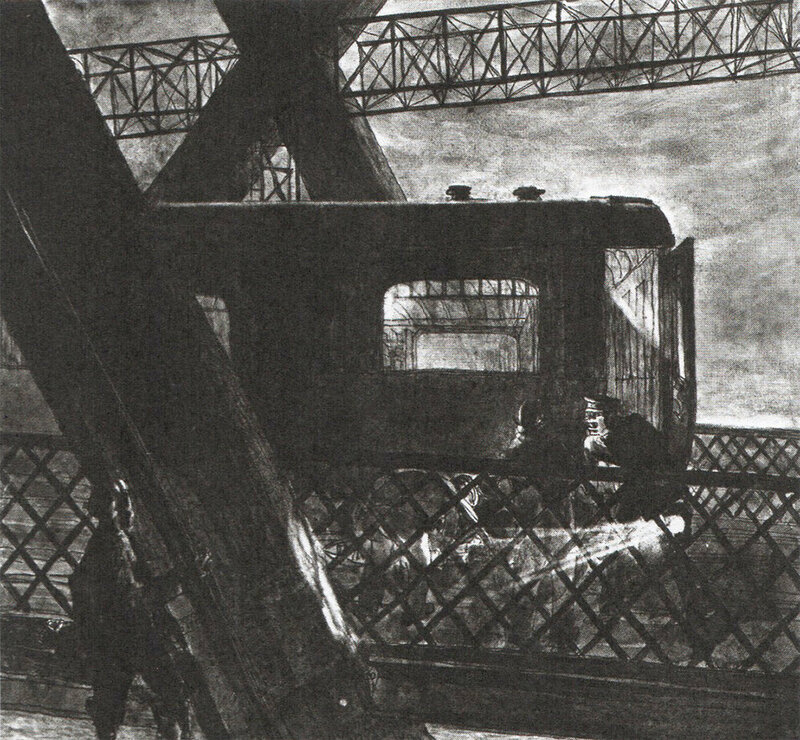 Hitchcock felt, or claimed to feel, that rendering the action on celluloid was almost redundant, since he had already created the films in the elaborate storyboarding sessions that preceded each production. 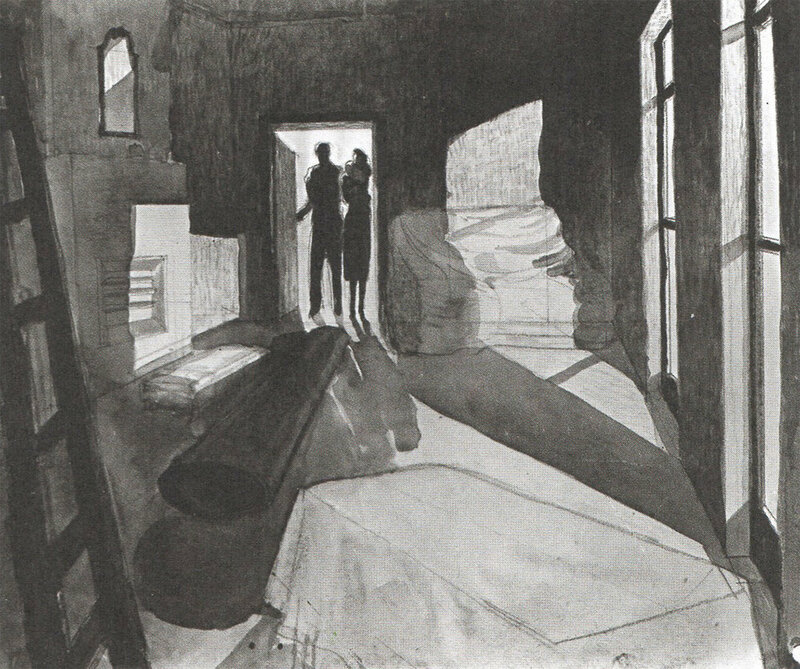 Although he usually employed a professional storyboard artist, and when he contributed his own sketches they tended to be hastily prepared and very rough, Hitchcock was a gifted draughtsman and, as his preparatory sketches for The 39 Steps (1935) show, he could produce atmospheric work of high quality. He left school in his early teens and went to work for the Henley Telegraph and Cable Company. He also took night classes in life drawing at the University of London and received a rudimentary education in the history of black-and-white illustration. When this came to the attention of his employers he was moved to the advertising department, where he churned out images over the next few years. In 1920 the American company Famous Players-Lasky opened a film studio in north London and Hitchcock went to work there, initially unpaid, supplying title cards for silent films. He was eventually made head of titles. He directed his first film, The Pleasure Garden, in 1925, and over the next fifty years an extraordinary run of suspense masterpieces followed, including The 39 Steps (1935), Notorious (1946), Strangers on a Train (1951), Rear Window (1954), Vertigo (1958), North by Northwest (1959), and Psycho (1960). After what seems to have been a miserable childhood, in which he and his siblings were subject to their father’s violent outbursts (his father would later be the basis for the central character in his 1999 film, Kikujiro) Kitano dropped out of university and became apprenticed to a comedian. He joined up with Jiro, another young stand-up comic; they styled themselves ‘The Two Beats’ (hence Kitano’s stage name, Beat Takeshi, which he still uses as an actor) and became a cult success in Japan with their outrageous, often obscene stage act which in time they brought to television. In 1982, the director Nagisa Oshima cast Kitano against type as the brutal Hara in Merry Christmas, Mr Lawrence. In Japan his fame as a comic affected him adversely, with audiences reputedly hooting with laughter at his every appearance on screen, despite the violence of his character. His next sideways move was equally dramatic, when he emerged as a gifted director on his first film, Violent Cop (1989). He made a successful return to film-making with Kids Return (1996), but his masterpiece came in 1997 with Hana-Bi, in which he also plays the leading role as Nishi, a retired cop who alternates between acts of casual but extreme violence and tenderness in caring for his sick wife. Kitano had been planning this film before his accident, but his brush with death clearly informs its mood. Many of the paintings he made during his convalescence are woven seamlessly into the film, presented as the art work created by Nishi’s wheelchair-bound former partner Horibe. There is something perfect about these dreamy images in which flowers meld with animals, dovetailing with the film’s emblematic title, which consists of the Japanese word for fireworks broken down into its constituent parts: hana (flower), bi (fire). A cartoon angel which appeared in Kitano's 1999 film "Kikujiro". Kitano's failed attempt to copy Van Gogh's "Sunflowers", which he turned into a visual joke. Another painting used in "Hana-Bi". 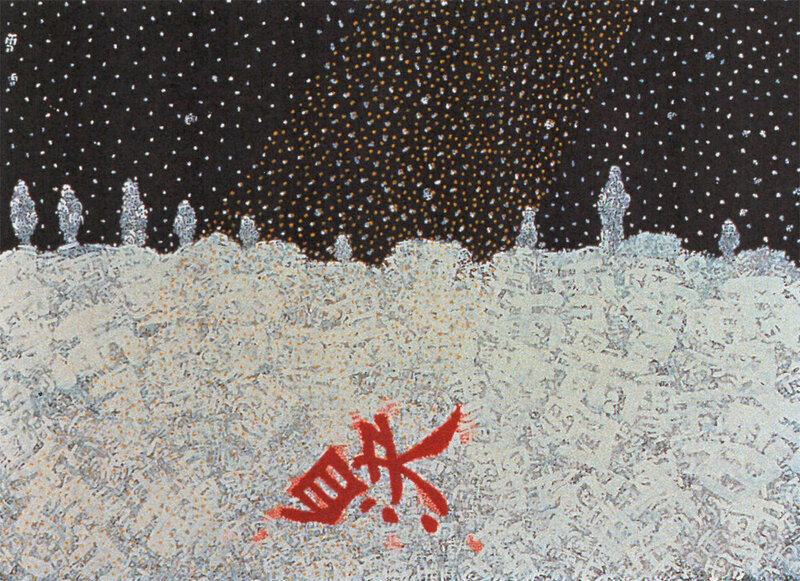 The snow is made of thousands of copies of the Chinese pictogram for snow;the symbol at the centre means suicide.